Brings new meaning to "blood bank." Ambrosia, the controversial chain of clinics offering transfusions of young people’s blood, has officially opened up shop in five U.S. cities. While the company’s original plan for a New York City clinic fell short, it now has locations in LA, San Francisco, Tampa, Omaha, and Houston, according to Business Insider — each of which will “fill your veins” with youthful blood, according to the business magazine. 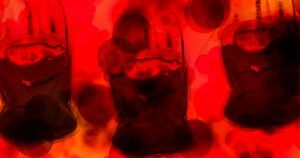 Now, anyone who believes Ambrosia founder Jesse Karmazin’s claims that injections of blood from youthful donors can rejuvenate the body can buy one liter for $8,000, or get two liters at a real steal for $12,000. Actual clinical results to bolster those claims have been few and far between. For instance, a study that tried to determine whether the blood of young adults could help lessen Alzheimer’s Disease symptoms was published in Jama Neurology this month — but the study only included 18 participants. Other than that, most of the evidence that a treatment like Ambrosia’s might work comes from experiments conducted on mice, not on people. Ambrosia still has not shared the results of its self-run clinical trial from 2017, the participants of which also had to pay the standard $8,000 per treatment, Business Insider reports. But because the company’s treatments are technically just blood transfusions — a relatively common procedure — Ambrosia can reportedly pass under the U.S. Food and Drug Administration’s regulatory radar. But the lack of hard evidence backing Ambrosia’s treatment hasn’t stopped interest from wealthy customers — Ambrosia had to form a waitlist shortly after launching its website back in September, according to Business Insider. Whether or not the treatment does any good is still up in the air. But it seems that the idea behind it will continue to persist, regardless of what the evidence says.